Douglas Mullin has been interested in getting from point A to point B since childhood. His first experience travelling on his own was on VIA Rail to Ottawa. He has traveled regularly on the mtatus of Nairobi, and the extensive public transit of Seoul, South Korea. Douglas then moved to Fredericton for university where he learned the in and outs of transit to get around. His studies in Political Science and Human Rights and his connection with Social Work students pushed him into community development. After university, he participated in the community meetings known as the Great Gatherings. Within 5 years, he founded the committee called Making Transit Work. This committee advocated for better transit outcomes in Fredericton, resulting in many improvements to the system. Douglas moved back to Miramichi and through a set of fortunate coincidences that led to his meeting the Community Transportation Coordinator, he was able to join the Community Transportation Committee. His previous passion for transit led to his selection to be the Acting Community Transportation Coordinator, with oversight of the new organization, Go Chi Cooperative. This group is working to fill gaps in the transportation network in Northumberland County. 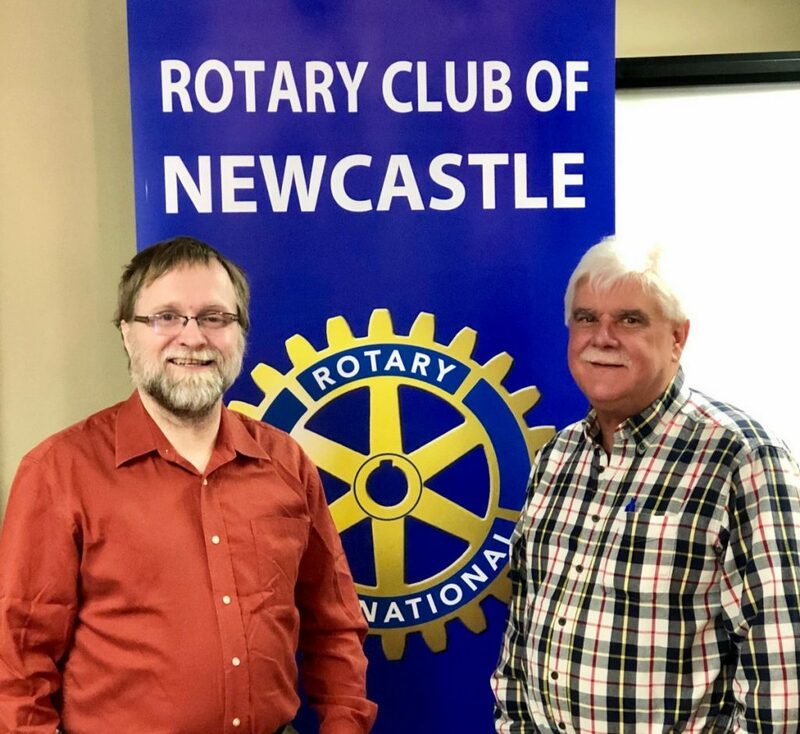 Thanking Douglas (L) for being our weekly speaker is Rotarian Michael Mersereau (R). ← Merry Christmas and Happy Holidays from the Newcastle Rotary!